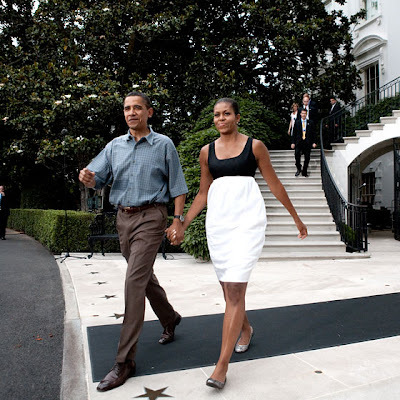 Mrs. Obama's star power has not died down nor has my interest in her wardrobe choices. For the month of July, she made several designers happy but she sent 3 of them to the moon! Narciso Rodriguez was one of them. She wore 3 dresses by the designer in 3 different countries in 5 days. Well done Narciso. 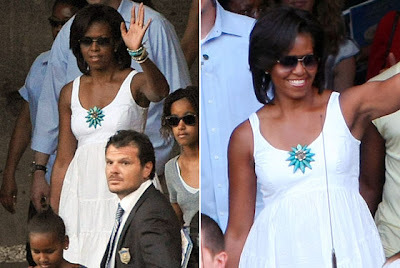 July 4th: Celebrating independence day at the White House in a dress by Narciso Rodriguez. Photo: Getty Images. July 6th: Arriving in Moscow in a Narciso Rodriguez dress. Photo: Getty Images. July 8th: Leaving the Colosseum after a private tour of the ancient monument in Rome. Dress by Narciso Rodriguez. Photo: Getty Images. Stay tuned to find out who the other lucky two are.